1718: New organ by Arp Schnitger. 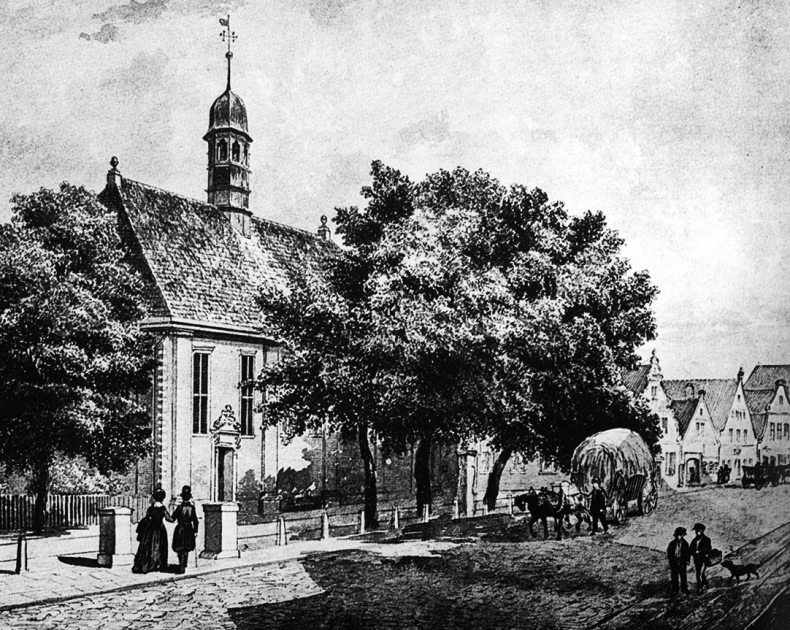 In his books on the organs of Bremen Fritz Piersig proved that Schnitger built an instrument for this church. 1769: Changes by H.W. Eckmann. 1787: Repairs by M.H. Petersen. 1799: Repairs by J.W. Witzmann. 1882: New organ in the old case by Walcker. 1944: Church and organ destroyed by bombs.